A popular app found in Nokia devices has been Sports Tracker by Sports Tracking Technologies. Now it is available for ALL Windows Phone Mango devices. Its an app much like endomondo that is already on Windows Phone which I love. I haven’t taking this one for a spin though since it was just released. It was previously thought that this app would only appear on Nokia devices but I guess someone changed their minds as this app is available to all using a Windows Phone. Turn your mobile into a social sports computer with Sports Tracker and take your training to the next level! Track and analyze your performance, share workout data with your friends, and most of all – get fit and stay healthier. 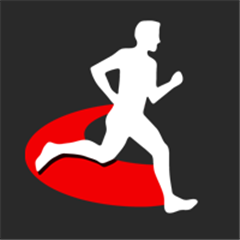 Along with the full-featured online service at www.sports-tracker.com Sports Tracker is the most powerful tracking solution available for your Windows Phone. Written by: Hyde13 on December 15, 2011. Finally! It’s a month late. But, better ever than never. Now i can do something about my winter kilos.